On Lucy’s* eighth birthday, she woke up to a surprise. It wasn’t a cool toy or a fun game, the kind of things kids often look forward to on days like this. Instead, her back and stomach itched so badly she was crying. It was clear to her family that Lucy was suffering. But why? What was the source of this sudden attack? The answer: a common preservative found in personal care products like body wash and shampoo; there’s a good chance you could walk into your bathroom right now and find any number of bottles that contain it. It’s called methylisothiazolinone [MI], and it made Lucy’s life hell for more than four months. Reactions like Lucy’s to MI are statistically rare, but examples are not difficult to find. There is, for example, a Facebook group for those who are sensitive to MI (as well as related preservatives isothiazolinone and methylchloroisothiazolinone, but more on those later) that has upwards of 4,500 Facebook followers. Symptoms can include redness, dryness, a burning or stinging sensation, facial swelling, blisters and crusting. Like most people, Lucy’s parents hadn’t heard of MI at the end of April 2014, when Lucy’s troubling rash first appeared. It took four months for the family to determine the culprit, an entire summer of watching Lucy struggle not to scratch between appointments with doctor after doctor. Treatments ran the gamut of hospital-administered steroids to oatmeal baths. “You name it,” John said, but nothing seemed to be working and physicians could not explain the rash’s cause. Adding to the difficulty was the fact that the rash covered Lucy’s entire body from the neck down. 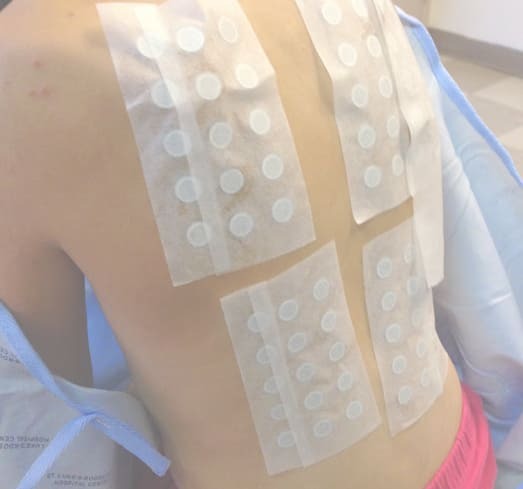 After Lucy’s pediatrician, John says they tried a pediatric dermatologist and a slew of other specialists: an allergy immunologist, infectious disease experts, geneticists and rheumatologists. Lucy’s chest was X-rayed to rule out Hodgkin’s, another scare her parents were forced to endure. “We had no idea what was causing this. She’s suffering, we’re wondering… does she have some kind of chronic condition?” John recalls. As Lucy tells it, living with the rash was a constant battle for the eight-year-old. In an attempt to rule out a gluten-intolerance issue, Lucy’s parents had her avoid foods with gluten for months. Not a winning idea, especially for an 8-year-old who loves pizza. The only positive, she says, was that she somehow didn’t get any of the rash on her face. Finally, around the beginning of June, Lucy’s doctors prescribed powerful oral steroids and her discomfort lessened, even though the rash lingered. 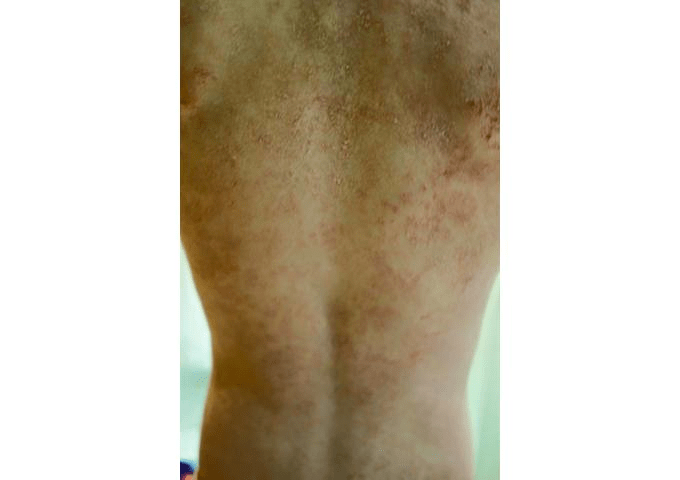 For months it still remained too severe for doctors to perform a patch test. A patch test involves applying different allergens to the skin in a controlled way and then monitoring the tested areas for reactions. The catch is that you need enough healthy skin to test, and Lucy’s entire body was covered with the rash. When enough of Lucy’s skin was clear, her family went to see Dr. Vincent Deleo, then the head of dermatology at St. Luke’s Roosevelt in Manhattan. According to John, Deleo tested Lucy for sensitivity to around 70 different allergens and, at last, finally reached a conclusion: Lucy had a severe response to methylisothiazolinone. Lucy would probably disagree with that part about the tears. Upon realizing that methylisothiazolinone was causing Lucy’s awfully itchy symptoms, the family stopped using the Suave body wash — and the rash quickly cleared up. Finding the source was a huge moment, says John, even though it was hard to believe that the culprit had been sitting in their bathroom for all of these months, and that Lucy had been using it during her months-long ordeal. Thinking about it now, John tells Consumerist that it feels “so stupid” that they hadn’t thought to focus on that product, mostly because of the “hypoallergenic label” and words like “free and gentle.” They’d continued to use the product during the entire process, because of those words. Why Is Methylisothiazolinone In So Many Products? There’s a good chance you’ve never heard of MI or noticed it on product labels, but the chemical is increasingly being used as a preservative. Cosmetic and skin care products have long used a class of preservatives known as parabens, but with some consumers calling on manufacturers to discontinue the use of parabens because of alleged long-term health concerns, Dr. Deleo tells Consumerist that these companies had to come up with something else to use to make things like body wash and shampoo shelf-stable. About 25 years ago or so, Deleo tells Consumerist, many companies started using a new preservative to keep bubbly products bubbly, combining similar chemical methylchloroisothiazolinone (MCI) with methylisothiazolinone in a concentration of three-to-one. “It was known that that could be an allergen,” he explains, “but that it was fairly safe to use in things like shampoos, which are washed off and so diluted,” in comparison to leave-on products like lotion. And then, for reasons unclear to Deleo, companies started using methylisothiazolinone alone and at a higher concentration to make it effective. People started having reactions to it — but dermatologists often missed it, because previous patch-testing methods had only tested for the combination chemical, Deleo explains. “So to make matters worse, not only was it occurring seemingly much more frequently than the combination, but we were missing it because we had the wrong allergen to test to,” he says. Now, he says, he and other dermatologists test for both, and in his experience, it shows up pretty often. “You can’t say it’s really common, I guess, but it’s certainly not rare,” Deleo tells Consumerist. Despite some complaints linking MI to rashes, the chemical is so widely used that you’re likely applying it to your skin and hair on a regular basis. After first talking to John about Lucy’s ordeal, I immediately looked in my bathroom to check my Suave shampoo and conditioner. Lo and behold, there was MI. 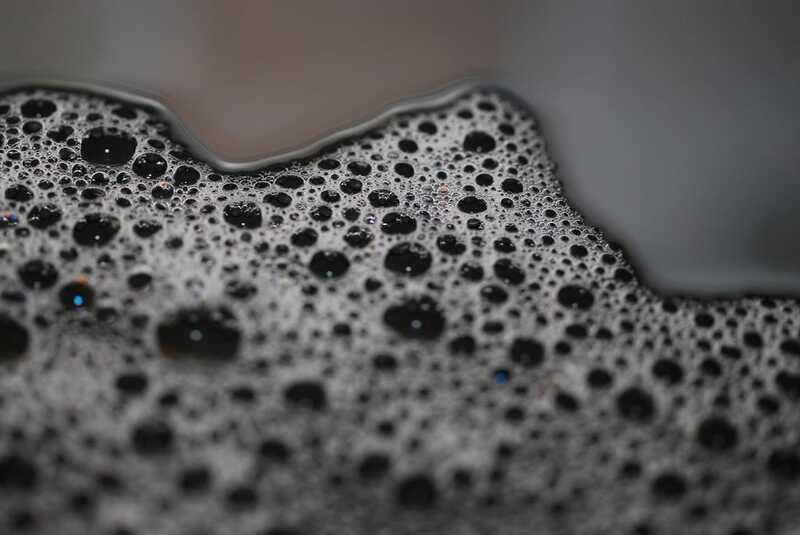 Though it’s more common to see MI in wash-off products, it’s also used in some leave-on products, including some Eucerin lotions and moisturizers made by Beiersdorf. Between 2007 and 2010, the number of products that used it more than doubled to about 2,400 items, according to an estimate from the American Contact Dermatitis Society. A quick check of a Rite Aid store in Brooklyn turned up three kids-themed body washes made by a company called MZB Accessories — a Frozen bottle, Spongebob Squarepants brand and a Spider-Man version — with both methylisothiazolinone and its sibling, methylchloroisothiazolinone on each label. A Baylor College of Medicine study published in August 2014 evaluating products specifically marketed for babies and children found that out of 152 products surveyed at major retailers, 30 products — from facial or body wipes to hair products, bubble baths, moisturizers and sunscreens made by major brands — marketed specifically to the younger set contained MI. As for labels that use words like “natural” and “hypoallergenic,” Deleo says those terms mean nothing and shouldn’t guide your buying choices. Indeed — even the federal government notes that “there are no Federal standards or definitions that govern the use of the term ‘hypoallergenic. '” The term means whatever a particular company wants it to mean… The term ‘hypoallergenic’ may have considerable market value in promoting cosmetic products to consumers on a retail basis, but dermatologists say it has very little meaning. The safest thing to do? Deleo recommends simply buying products that have very few ingredients. If you’re worried that you might get a rash from methylisothiazolinone — people with eczema, for example, could be more susceptible — Deleo says it’s best to just stay away from products that contain that ingredient, or the lower concentration version of methylchloroisothiazolinone (it’s common to see them both together). Even if you’ve never experienced a reaction, your skin can become sensitized over time, he says, causing problems later. Methylisothiazolinone has caught some flack in the last few years, most noticeably earning the title of Contact Allergen of the Year in 2013 from the American Contact Dermatitis Society. In 2013, Kimberly-Clark also came under fire for using MI in its Huggies baby wipes, and subsequently stopped using the preservative in those wipes. Deleo notes that many countries in Europe have already started restricting the use of MI, and he thinks U.S. companies have also started moving away from using it as an ingredient. 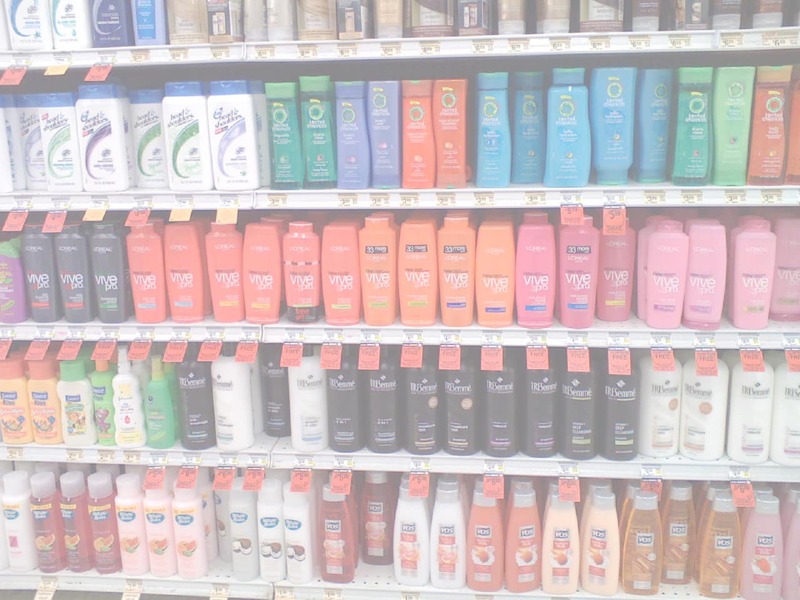 In 2013, the same year the ACDS named methylisothiazolinone as Contact Dermatitis Allergen of the year, the Scientific Committee on Consumer Safety, a European advisory group, said that MI should be used only in limited quantities for wash-off products, and that “no safe concentrations” existed for leave-on products like lotions, the New York Times reported in January of this year. Other companies like Johnson & Johnson and Unilever have recently pledged to phase out using MI in new leave-on products. While noting that the Cosmetic Ingredient Review (CIR) Expert Panel, “an independent body of scientific and medical experts that assesses the safety of ingredients used in cosmetics in the U.S.” (that the PCPC itself established in 1976 with the support of the Food and Drug Administration and the Consumer Federation of America) limits MI as a preservative in cosmetics and personal care products up to 0.01% (100 ppm), the group said in light of new data, its members were “evaluating information relevant to exposure to MI as used in North America” with the goal of reporting those findings to the CIR. Consumerist also reached out to MZB Accessories (the distributors of those kid-themed body wash products I found on the Rite-Aid shelf), Breiersdorf (maker of Eucerin and Nivea products) and Galderma Laboratories (Cetaphil) for their policies concerning MI. We’ve yet to receive responses from these companies. But even if manufacturers phase out MI, personal care products could still be hanging out in your bathroom or in a cabinet for years to come, depending on how often you go through body wash, shampoo and conditioner. If you buy these products in bulk, it could be quite some time before you exhaust your supply. It also won’t necessarily be easy for companies to come up with alternative preservatives, despite the fact that they’re developing new preservatives all the time. 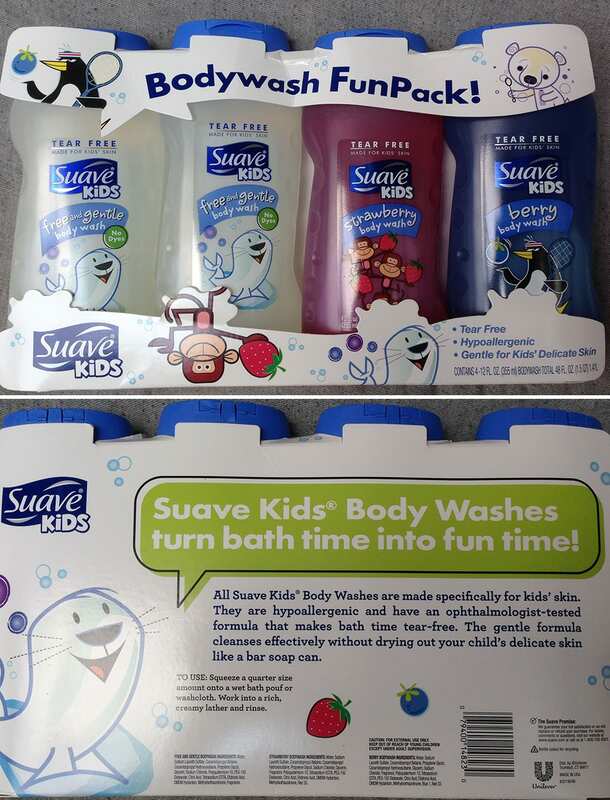 The front and back labels for the Suave product Lucy had been using when her rash appeared. Click image to enlarge. Instead, he filed a complaint with the Food and Drug Administration’s Center for Food Safety and Applied Nutrition (CFSAN). “I didn’t get the sense that the FDA took my report seriously or that they’re going to take swift, meaningful action on this issue,” he told Consumerist. Talking to Lucy these days, it’s clear she won’t soon forget about those four months of misery. When the source of Lucy’s rash was finally identified and gluten was off the hook, she and her parents went out for pizza to celebrate. “I was really happy that I could finally eat gluten,” she remembers of that celebratory slice. And she’s got a message for companies that use MI in their products. And while it was also hard for John to talk about Lucy’s awful experience, he says if it can bring the issue to light for other parents, he’s more than willing to remember every awful moment. *We have changed these names in order to protect the privacy of Lucy, a minor.